Is It Illegal To Make Moonshine In New York ? New York is one of the easiest states to legally produce moonshine in here’s a few articles that explain why. Is it Legal to Own a Still in New York? law says. New York Alcoholic Beverage Control Law Article 10 Section 153 provides that, “ Any person who shall manufacture any illicit alcoholic beverage or who, not being duly licensed as a distiller under the provisions of the alcoholic beverage control law, shall own, operate, possesses or have under his control any still or distilling apparatus is guilty of a felony.” This first section says that if you own a still and don’t have state and federal permits to make alcohol, you’re guilty of a felony. The document goes on to say that a “still” or a “distilling apparatus” is defined as “any apparatus designed, intended, actually used, or capable of being used for or in connection with the separating of alcoholic or spirituous vapors, or alcohol or spirituous solutions, or alcohol or spirits, from alcohol or spirituous solutions or mixtures, but shall not include stills used for laboratory purposes or stills used for distilling water or other nonalcoholic materials where the cubic capacity of such stills is one gallon or less.” This is a reference to federal statutes that declare stills with a capacity of 1 gallon or less, that aren’t being used to make shine, are legal and are unregulated. The interesting thing is that the document goes on to read that “… it shall not be unlawful for any person to own, possess or have under his control any still or distilling apparatus (a) where the same has been duly registered in compliance with or has otherwise complied with the provisions of Federal law and regulations issued pursuant thereto, or (b) where the same is not required to be registered under Federal law, or (c) where the same is in the possession of a duly qualified manufacturer of stills under Federal law…”. If a person has a non-producing still not used, or intended, for alcohol production such that it is not required to be registered under the Federal law, then it is not illegal to possess it in New York. Federal law does not prohibit owning a still for the purpose of distilling water, regardless of size. This means that if an individual has a federal fuel alcohol permit, owning a still of any size is legal. This language also appears to suggest that a still of any size, used for purposes other than distilling alcohol, is legal. Legal to own a non-producing still? Yes. New York Alcoholic Beverage Control Law Article 10 Section 153 provides that, “ Any person who shall manufacture any illicit alcoholic beverage or who, not being duly licensed as a distiller under the provisions of the alcoholic beverage control law, shall own, operate, possesses or have under his control any still or distilling apparatus is guilty of a felony. “Still” or ” distilling apparatus” shall mean any apparatus designed, intended, actually used, or capable of being used for or in connection with the separating of alcoholic or spirituous vapors, or alcohol or spirituous solutions, or alcohol or spirits, from alcohol or spirituous solutions or mixtures, but shall not include stills used for laboratory purposes or stills used for distilling water or other nonalcoholic materials where the cubic capacity of such stills is one gallon or less. Provided, however, that it shall not be unlawful for any person to own, possess or have under his control any still or distilling apparatus (a) where the same has been duly registered in compliance with or has otherwise complied with the provisions of Federal law and regulation issued pursuant thereto, or (b) where the same is not required to be registered under Federal law, or (c) where the same is in the possession of a duly qualified manufacturer of stills under Federal law…”. If a person has a non-producing still not used, or intended, for alcohol production such that it is not required to be registered under the Federal law, then it is not illegal to possess it in New York. To reiterate from the last section, if you’re caught with a still and you’re using it to make alcohol, unless you have a federal fuel alcohol permit, you’re in trouble and it will likely be a felony charge. However, as mentioned above, if you’re just distilling water or you are distilling alcohol and have a federal fuel alcohol permit, you aren’t guilty of any crime, according to our interpretation of the law. Is it Legal to Distill Alcohol in New York? It’s only legal to distill alcohol in New York if you have a federal fuel alcohol permit or a Class A-1 Distillers License. See below for info on the distillers license. 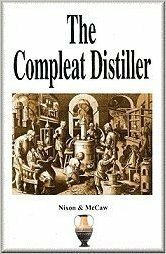 Legal to distill alcohol, for consumption? Yes, with a Class A-1 Distillers License (there also other distillery licenses available based on amount of production or materials used) (N.Y. Alcoholic Beverage Control Law Article 5 Section 61) . The regulations provide that the “license authorizes the holder thereof to operate a distillery for the manufacture of liquors by distillation or re-distillation at the premises specifically designated in the license”. The fee starts at $250 and varies depending on the license issued. Yes, with a Class A-1 Distillers License (there also other distillery licenses available based on amount of production or materials used) (N.Y. Alcoholic Beverage Control Law Article 5 Section 61) . The regulations provide that the “license authorizes the holder thereof to operate a distillery for the manufacture of liquors by distillation or re-distillation at the premises specifically designated in the license”. The fee starts at $250 and varies depending on the license issued. What is the Penalty For Possessing or Selling Moonshine in New York? According to S 152 (a), “Any person who shall knowingly barter or exchange with, or sell, give or offer to sell or to give another any illicit alcoholic beverage is guilty of a misdemeanor.” If an individual is caught selling illegally produced alcohol, they’re guilty of a misdemeanor. However, by simply possessing illegally produced alcohol, an individual is at risk of being charged with a crime. According to S 152 (b) “Any person who shall possess or have under his control or transport any illicit alcoholic beverage with intent to barter or exchange with, or to sell or give to another the same or any part thereof is guilty of a misdemeanor. Such intent is presumptively established by proof that the person knowingly possessed or had under his control one or more gallons of illicit alcoholic beverages. This presumption may be rebutted.” It appears that a charge for possession may only be made if the quantity of illegally produced alcohol discovered exceeds 1 gallon. New York Alcohol Beverage Control Act (ABC) Article 10, Section 151 provides that it is a misdemeanor to possess illicit alcohol beverages; Section 152 provides that it is a misdemeanor to sell illicit alcohol beverages (second offense is a felony); Section 153 provides that it is a felony to manufacture illicit alcohol beverages. (ABC Article 10 Section 150 indicates that illicit alcohol” means and includes any alcohol or distilled spirits owned, manufactured, distributed, bought, sold, bottled, rectified, blended, treated, fortified, mixed, processed, warehoused, possessed or transported on which any tax required to have been paid under any applicable federal law has not been paid”). The statute does not indicate what specific grade Felony or Misdemeanor penalty is applied, so specific penalties cannot be determined for certain. In examining the N.Y. Felony chart, it would be appear that that this general “felony” would be a Class E Nonviolent Felony, punishable by 1-4 years imprisonment and/or a fine up to $5,000. In examining the N.Y. Misdemeanor chart, it would be appear that that this general “misdemeanor” could be either a Class A, Class B or Unclassified Misdemeanor: Class A is punishable by imprisonment up to 1 year and/or a fine up to $1,000. Class B is punishable by imprisonment up to 3 months and/or a fine up to $500. Unclassified Misdemeanor punishment is somewhat left up to the Court in conjunction with the specific statute violated. New York Alcohol Beverage Control Act Article 10, Section 153 provides “when any such still or distilling apparatus or illicit alcoholic beverage shall be taken from the possession of any person, the same shall be surrendered and forfeited….”. New York Alcohol Beverage Control Act Article 8, Section 123 also provides for “…seizure and forfeiture of any liquor, wine or beer and any fixtures, equipment and supplies used in the operation or promotion of such illegal activity …..”. There is a new law just passed in New York making it easy for micro distilleries to make moonshine legally! Check out the article below for details. First, you can make moonshine, whiskey, vodka, or whatever distilled spirit you like. You have to license a specific location and they will want the details of your equipment and what you are planning on making, but the recipe is largely up to you. The real catch is that you have to use primarily New York farm and food products as ingredients (other than water). Fortunately, we grow a lot of great stuff around the state, so there are still plenty of options. Second, you can bottle the liquor you make for sale in containers of one quart or less. Unlike larger distilleries, you can sell directly to pretty much anyone in the state licensed to buy, including direct to consumers, to restaurants, bars, and liquor stores, to wholesalers, and to other farm distilleries, wineries, and breweries. You can also sell at farmers’ markets, the New York State Fair, and many county fairs. Note that consumer sales need to be face-to-face, so internet, telephone, and mail order sales aren’t possible at this time. But to assist with face-to-face sales, you get a fairly broad license to hold tastings, in your tasting room, or elsewhere (including farmers’ markets and fairs). Third, you can sell in bulk to other distilleries and wineries for use in combined spirits, like fruit brandies. Unfortunately, you can’t sell in bulk to other farm distilleries and can’t buy in bulk (and omission in the law I find odd), so it doesn’t appear that a farm distillery can rectify or blend other people’s spirits without pursuing a separate (and much more expensive) rectifying plant license. Which brings us to the fourth point, you can combine your farm distillery on the premises of most other licensed producers. So, you can add a farm distillery to another distillery, a winery, or farm winery. You may not be able to add the farm distillery to a brewery though. What about a distillery pub? Well, you can also have a separately licensed restaurant on the same premises as the farm distillery that can serve beer, wine, and liquor. So, there isn’t a single license for the distillery pub, but you can still do it by getting both a farm distillery and retail restaurant license for the same place. Oh, the other big limitation of New York farm distilleries is that you can’t manufacture more than 35,000 gallons per year. For most craft distillers, this really isn’t a problem. And, if you get that big, you always have the option of applying for the appropriate large distillery license. So, get out there and build your own farm distillery to make great craft spirits and help put New York on the artisanal liquors map. By the way, the New York State beverage business website has a handy chart for figuring outwhat kind of incentives there are for the NY beverage industry to help you get started with funding your dream. Devin Morgan is Co-founder and Of Counsel to Knull Group (www.eatdrinklaw.com), a firm for food-obsessedbusiness and intellectual property lawyers in Cooperstown, NY. He is focused on the growth of the craft food and beverage industry in New York State and is the primary author of the Eat. Drink. Law. blog. Click here to receive a free report from Devin on growing a distinctive food or beverage business. He is also a big fan of the Cooperstown Farmers’ Market. Here is an Interesting Article I found about Moonshiners Operating legally in New York ? ALBANY — A booming New York industry that recalls the days of moonshine and Prohibition — tiny distilleries producing whiskey and other liquor — received a boost from Gov. Cuomo Wednesday. The governor signed legislation allowing so-called micro-distilleries to sell their wares at farmers’ markets and fairs across the state. The tiny distilleries have been proliferating thanks to a change in state law two years ago. At least 28 have gotten state licenses since then, including at about a half dozen within the five boroughs. One of them, Kings County Distillery, operates out of the old Brooklyn Navy Yard, producing about 16 gallons of what it calls “handcrafted moonshine and bourbon” every day. The company even grows corn on a lot next door, using the grain to make its alcohol. Colin Spoelman, the company’s founder and master distiller, said the new law will give his burgeoning industry a major boost. “A lot of people do their shopping at farmers’ markets,” he said. “It is a whole set of consumers that you may not reach in the liquor store or bars,” said Spoelman, who produces 600 cases of whiskey a year and has five employees. The company’s products already are sold in 60 liquor stores across the state. Mom-and-pop moonshiners gained new legal status in 2010, when the state created a new class of licenses for “farm distilleries” whose products are made almost entirely from New York farm products. The law allowed the distilleries to mimic wineries and micro-breweries by opening tasting rooms and retail shops on their premises — making it profitable to operate. The legislation Cuomo signed Wednesday was intended to further support the industry by giving farm distillers the same ability as New York wineries and micro-breweries to sell at farmers’ markets and fairs. “Farm distilleries and the agricultural sector play a major role in New York State’s economy,” Cuomo said in a statement. “By easing restrictions on farm distilleries and permitting tastings and sales outside of their premises, we are giving these distilleries an equal chance to compete in the industry and a better opportunity to reach new customers and grow their businesses,” Cuomo said. Ralph Erenzo, founder of the Tuthilltown Spirits Farm Distillery in Ulster County, said the new law will not only increase sales but also help distillers reach influential bar and restaurant owners who often shop at farmers’ markets. “One of the hardest parts of developing your distillery is literally getting your product on a shelf,” said Erenzo, who helped organize distillers to support the legislation. “If you can go to a farmers’ market or a state fair, you can generate that demand for your product,” he added. The benefits, Erenzo added, will be felt across the state. 2 Responses to "Is It Illegal To Make Moonshine In New York ?"